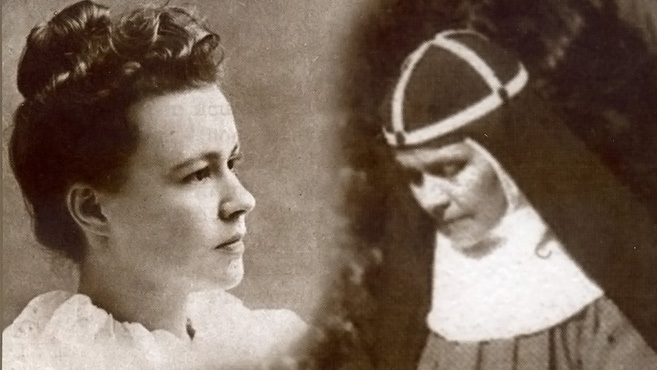 Saint Mary Elizabeth Hesselblad was born on June 4, 1870 – (died 24 April 1957) and baptised into the Reform Church. Mary was born in Faglavik, Alvsborg province, Sweden. In 1886 she migrated to the United States to earn money for her family back home. After working as a nurse, she converted to Catholicism in 1902. Moving to Rome, she dedicated her life and her religious order to prayer and work for the attainment of Christian unity. She refounded the Order of the Most Holy Saviour of St Bridget, known as the Bridgettines. Mother Riccarda later succeeded her as mother superior at the order’s Rome motherhouse. Here, Mary Elizabeth saved the lives of more than 60 people She hid Jews from the Nazis during the Second World at the motherhouse in Rome. Pope Francis approved a miracle attributed to her intercession. She was a convert from Lutheranism. The hiding was recounted by an Italian Jew. Mr Piperno told the Times newspaper: “We were three families, 13 in all. We stayed in three rooms, all the men in one, except an uncle who slept in a dark, small room with no windows, and another two for the women. In the beginning we all ate in one room by ourselves.” For six months –until liberation of Rome – the Piperno family hid in the convent. The nuns took in Fascist refugees as well as Jews. Saint Mary Elizabeth,was named as a Righteous among the Nations, by Yad Vashem. She was beatified by St John Paul II in 2000. Mary was the fifth of thirteen children born to Augusto Roberto Hesselblad and Cajsa Pettesdotter Dag. Raised in the Reformed Church of Sweden.She emigrated to New York at age 18 to seek work to support her family back in Sweden. Mary studied nursing at Manhattan’s Roosevelt Hospital and she worked as a nurse from 1888; and did home care for the sick and aged. She converted to Catholicism, received conditional baptism on 15 August 1902 by the Jesuit priest Giovani Hagen at Washington. She went to Rome, Italy in late 1902, receiving Confirmation there. She settled at the Carmelite House of Saint Bridget of Sweden on 25 March 1904. In 1906 she obtained permission from Pope Pius X to take the habit of the Brigittines (Order of the Most Holy Saviour of Saint Bridget). She worked to restore the Order in Sweden and Italy, especially in Rome. Then she returned to Sweden in 1923, and ministered to the poor. She received control of Rome‘s Brigittine house and church in 1931. Established Brigittine foundations in India in 1937. Died 24 April 1957 in Rome, Italy of natural causes.